Animated GIF file - An Animated GIF (Graphics Interchange Format) file is a graphic image on a Web page that moves . is not really a video format. It is a sequence of GIF frames stringed together. 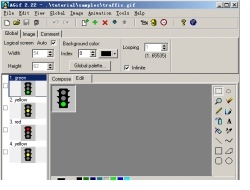 Due to the 256-color limitation of GIF, the color is dithered. The compression is not that great, so the file size tend to be large given the frame rate and resolution. 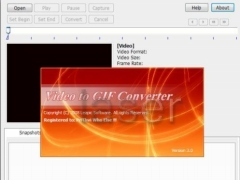 Video-AVI GIF Converter is a tool to capture selected frames of the video file and save them to animation GIF or JPEG formats. It is a software to help you convert MPEG , ASF , AVI , WMV video files to GIF and JPEG picture files, it capture the frames from playing video, you may change the Brightness , Rate and Size for the output file. 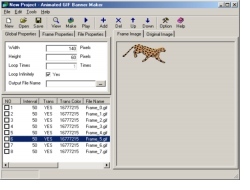 Active GIF Creator supports importing different images including BMP, JPG, GIF, ICO, PSD, etc., and creates animated GIF file of GIF98a format. And it supports importing from and exporting to animated files including AVI and ANI.